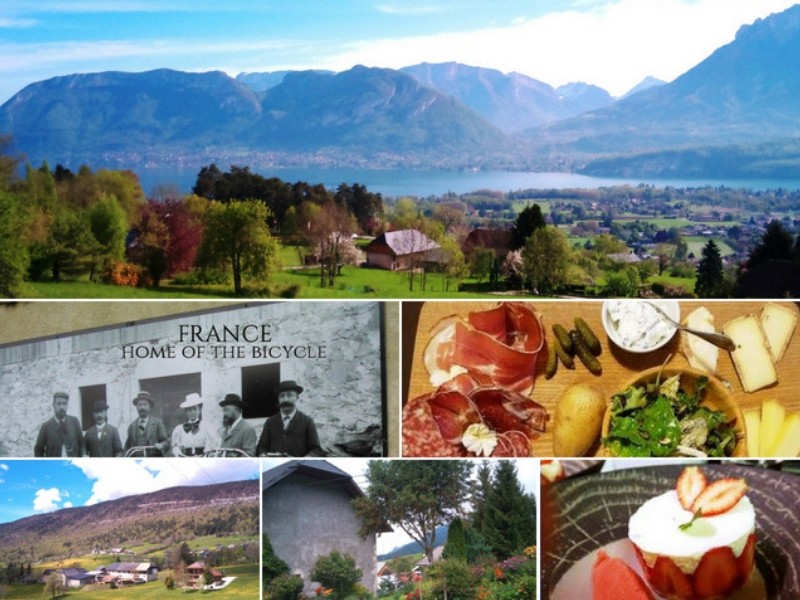 Bauges National Park Cycling plus lots more! The Bauges cycling routes are just one of the many highlights waiting for you whilst in Lake Annecy enjoy a day on the roads of the Bauges National Park. There is so much to see and do as you explore the valleys of this unique basin shaped cycling area. However short your stay in the French Alps make sure you include a visit to this spectacular ‘Hidden Gem’ – Bauges National Park. It’s true reflection of everyday French life from the markets, cheese fabrication, artisan chocolate, local crafts, and museums. Panoramic views of bright green fields, surrounded by alpine plateaus, tranquility and nature at its very best show casing this mountainous region. It’s unique; it’s handmade, individually produced it belongs to the ‘Les Bauges’! Pottery and Ceramics famous in this little part of the world, it decorates the local cafes and restaurants tableware. Who could imagine a bike ride could lead you to such French locally made creations. Drop in at “Atelier” in the village of Entreves Bellcombe-en-Bauges and say Hi to Aurelia, tell her the ‘Australians Paul & Bridget’ sent you…Her smile and passion for her love of clay will keep you enthralled. You forget you were on a bike ride whilst you’re trying to decide ‘how much can I carry’ back home! The Pottery trail continues with another passionate, lovely lady, Anne Renau whom we had the pleasure of meeting over 20 years ago… If you are fortunate to find her exquisite designed ceramics a truly rare find, we stumbled across her whilst discovering a new bike route in the quaint village of Arith, but you must have your ‘uphill legs’ on to get to this one! Finally whilst taking a well-deserved cafe break in Lescheraines take a look at the delightful boutique “ENTRÉE EN MATIÈRES”, your pottery purchase will remind you every day of your unforgettable cycling Bauges experience! Be sure if you’re visiting ‘Le Coeur des Bauges’ in the summer time to look out for the Pottery Festival, Ceramistes Professionnels en Rhone-Alps!